Chief Minister Andrew Barr and Aspen Medical CEO Bruce Armstrong with other winners at the ACT Chief Minister’s Export Awards. Aspen Medical has been exporting its health services to the world since 2003 but this year has been defined by its lifesaving work in war-torn northern Iraq. Named ACT Exporter of the Year at last week’s 2017 ACT Chief Minister’s Export Awards, Aspen established two trauma hospitals and two maternity hospitals around the besieged city of Mosul on behalf of the World Health Organisation. CEO Bruce Armstrong said Aspen treated more than 9,000 patients, with more than 1,000 babies born in the maternity hospitals. “We export health services around the world and the thing we’re most proud of is when we’re in locations where were literally saving lives,” Mr Armstrong said. He said export had been at the core of the business right from the beginning when Aspen signed its first contract in the UK. “This is an award not only for those in our team providing world-class Australian healthcare across the globe but also for those who support them behind the scenes. Our company’s first contract was overseas in 2003 so we were born as an exporting company, and we have continued to grow our exports year-on-year since then without fail,” Mr Armstrong said. Aspen Medical operates across Australia, the Pacific, Africa, the Gulf region, the United Kingdom and the USA, and employs more than 2,500 staff, and the company is now going into China. “We’re getting ourselves established there and telling people about how we’re exporting Australian knowledge and know-how,” he said. Aspen was proud to call Canberra home. “It suits us really well, there’s a great pool of smart people in Canberra. It’s a great hub to the rest of Australia and improving hub internationally,” Mr Armstrong said. He said Canberra was also home to many other innovative companies doing business with the rest of the world. 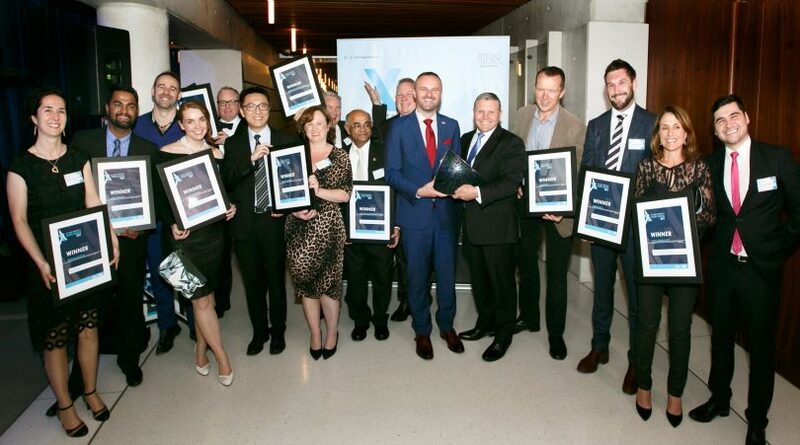 “You hear the stories at the awards last night, and its hugely inspiring and uplifting to hear about other companies in many other sectors exporting around the world,” he said. Canberra Business Chamber CEO, Robyn Hendry said all the finalists were successfully exporting their goods and services around the world. “Each of the finalists have achieved outstanding growth in international markets over the past year. They have opened doors across the globe, not only for their own goods and services, but for Canberra Region businesses as a whole,” Ms Hendry said. They pay tribute to outstanding businesses in both ACT and national categories. Winners in the national categories will go on to compete at the Australian Export Awards being held in Canberra in December.